Woody Allen talking with Salvador Dali and Man Ray and Luis Bunuel. They showed pictorially (and with great force) what it is like if man is a machine and also what it is like if man tries to live in the area of non-reason. In the area of non-reason man is left without categories. He has no way to distinguish between right and wrong, or even between what is objectively true as opposed to illusion or fantasy….One could view these films a hundred times and there still would be no way to be sure what was portrayed as objectively true and what was part of a character’s imagination. if people begin only from themselves and really live in a universe in which there is no personal God to speak, they have no final way to be sure of the difference between reality and fantasy or illusion (pp. 201-203). In a film class my partner and I did a video presentation on the film Belle de Jour and the filmmaker Luis Bunuel. Bunuel was a surrealist, so if the video doesn’t quite makes sense, its not supposed to. Luis Bunuel is a surrealist film director that is responsible for the film “Belle de Jour” which Francis Schaeffer discusses below. Luis Buñuel was born in Span in 1900. In studied first with Jesuits before enrolling in the University of Madrid, majoring in science. At the University he met Salvador Dali and Federico Garcia Lorca. Inspired by Fritz Lang’s film, Destiny , Buñuel went to Paris to study film during the 1920’s amidst a flourish of avant-garde experimentation. There he became an assistant to the experimental filmmaker Jean Epstein, and in 1928 collaborated with some friends including Salvador Dali on Un Chien andalou , which became a surrealist classic. It provoked a scandal, but Buñuel went on to film L’Age d’Or in 1930, creating another scandal. L’Age d’Or would also be the last time Salvador Dali would collaborate with Buñuel as he fought with Buñuel over the film’s anti-Catholicism. After L’Age d’Or , Buñuel further pursued his interests in anti-clericalism when he turned his attentions to making a documentary called Land Without Bread . (1932), studying the contrast between the poverty, disease, and death of the Spanish people and the lush, jewel-filled world of the Spanish Catholic Church. Buñuel went on to work for the foreign branches of major Hollywood studios, dubbing for Paramount in Paris and supervising co-productions for Warner Brothers in Spain. He produced several more Spanish pictures before leaving Spain for the United States during the Spanish Civil War.While in the United States, he was director of documentaries at the Museum of Modern Art in New York. He also found himself working for major Hollywood studios again as well as the U. S. government, supervising Spanish-language versions of films for MGM, making documentaries for the U. S. Army, and dubbing for Warner Brothers. Buñuel began to direct films again after a creative hiatus of almost 15 years when he went to Mexico.In association with producer Oscar Dancigers, Buñuel made a series of films, including Los olvidados (1950), El (1952), and Criminal Life of Archibaldo de la Cruz (1955). The best of these films brought Buñuel once more to international acclaim. It was with his Mexican films that Buñuel began to fully develop his unique mix of surrealist humor and social melancholy, combining a documentary sense with surrealist qualities into a loose, discontinuous form of narrative that his films would continue to follow as his career would progress. With his Mexican films, he paid especially close attention to the details of average Mexican life. Buñuel would continue to make films in Mexico, most notably Nazarin (1958), even after leaving the continent.Buñuel returned to France in 1955 to begin three co-productions that placed him in the center of cinematic art. His first opportunity to work and live in Spain came when he made Viridiana in 1961. 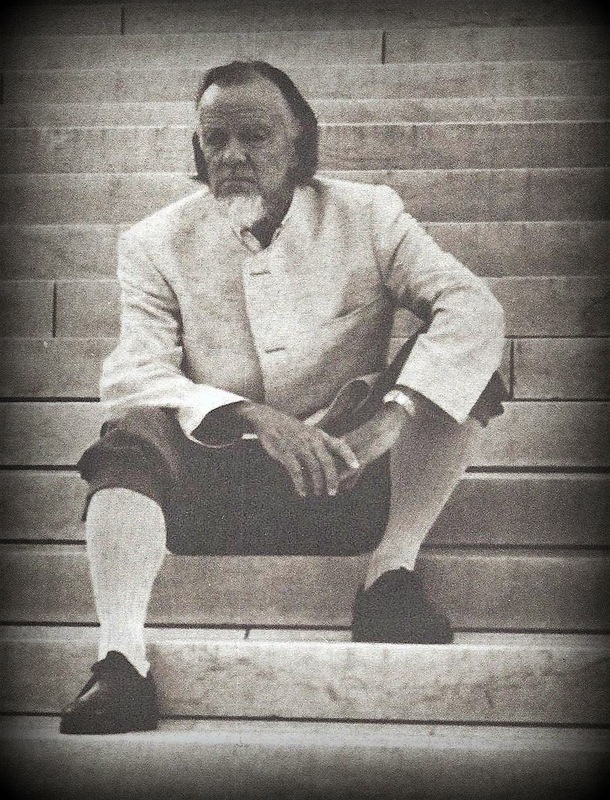 Though his script was initially approved, the film was banned upon release due to its anticlerical images, notably Buñuel’s famous parodical shot of Leonardo Da Vinci’s painting, The Last Supper . Nevertheless the film achieved international recognition. 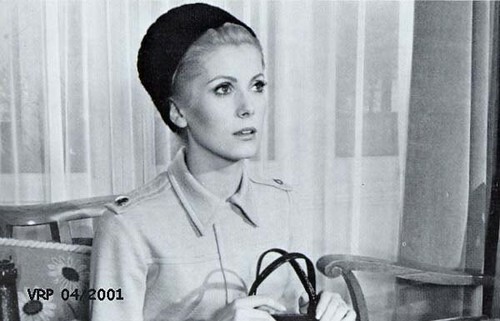 Controversy and problems with either distribution or censorship continued to appear throughout his career, as in his French film, Belle de Jour (1967), which would later go out of distribution for many years until Martin Scorsese rereleased it in 1996. Despite the complications Buñuel continued to be one of the most creative and productive of all film directors. 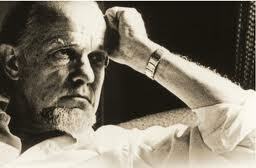 The film series by Francis Schaeffer “How should we then live?” covers the film Belle de Jour. Below is an outline of the 8th episode on the Impressionists and the age of Fragmentation. The third part discusses surrealist films like Belle de Jour that mixes our reality with our day dreams. 1. Dada , and Marcel Duchamp: art as absurd. (Dada gave birth to Surrealism). The Last Year at Marienbad. Silence and The Hour of the Wolf. (1920s-1930s) Surrealism was both a art and literary movement that stressed the significance of letting one’s imagination rule through the use of the sub-conscious without the hindrances of logic and normal standards. The anti-rationalist characteristic that stemmed from the Dadaist movement was a part of Surrealism. However, Surrealism involved more playful and spontaneous in spirit. Ways of thinking about how a viewer perceives the world around himself helped to shape the movement. The movement was begun in 1924 in the city Paris by Andre Breton, the author of the ‘Manifeste du surrealisme.’ His writings encouraged the expression of one’s imagination through the use of dreams. His writings attracted many artists of the Dadaist movement. The Surrealist movement was helped along in its development during the 1920s and 1930s with the famous artist Salvador Dali. Today’s artist that we are featuring is Oliver Herring!!! Episode #065: On the roof of his Brooklyn studio, artist Oliver Herring photographs Davide Borella during an exhausting performance as Borella spits various colors of water, tinted by food dye, up into the air and onto his face. Among Oliver Herrings earliest works were his woven sculptures and performance pieces in which he knitted Mylar, a transparent and reflective material, into human figures, clothing and furniture. Since 1998, Herring has created stop-motion videos, photo-collaged sculptures, and impromtu participatory performances with off-the-street strangers, embracing chance and chance-encounters in his work. VIDEO | Producer: Wesley Miller & Nick Ravich. Interview: Susan Sollins. Camera: Joel Shapiro. Sound: Gary Silver. Editor: Jenny Chiurco and Mary Ann Toman. Artwork Courtesy: Oliver Herring. Special Thanks: Davide Borella. Oliver Herring was born in Heidelberg, Germany, in 1964, and lives and works in Brooklyn, New York. He received a BFA from the University of Oxford, Ruskin School of Drawing and Fine Art, Oxford, England, and an MFA from Hunter College, New York. Among Herring’s early works were his woven sculptures and performance pieces in which he knitted Mylar, a transparent and reflective material, into human figures, clothing, and furniture. These ethereal sculptures, which evoke introspection, mortality, and memory, are Herring’s homage to Ethyl Eichelberger, a drag performance artist who committed suicide in 1991. Since 1998, Herring has created stop-motion videos and participatory performances with “off the street” strangers. He makes sets for his videos and performances with minimal means and materials, recycling elements from one artwork to the next. Open-ended and impromptu, Herring’s videos have a dreamlike stream-of-consciousness quality; each progresses towards a finale that is unexpected or unpredictable. Embracing chance and chance encounters, his videos and performances liberate participants to explore aspects of their personalities through art in a way that would otherwise probably be impossible. In a series of large-scale photographs, Herring documents strangers’ faces after hours of spitting colorful food dye—recording a moment of exhaustion and intensity that doubles as a form of abstract painting. Herring’s use of photography takes an extreme turn in his most recent series of photo-sculptures: for these works, Herring painstakingly photographs a model from all possible angles, then cuts and pastes the photographs onto the sculptural form of his subject. Herring has received grants from Artpace, New York Foundation for the Arts, and the Joan Mitchell Foundation. He has had one-person exhibitions at the Museum of Modern Art, New York; Solomon R. Guggenheim Museum, New York; and New Museum of Contemporary Art, New York; among others. Episode #051: Artist Oliver Herring discusses what he perceives as generational shifts in our relationship to the camera, mortality, and legacy, accompanied by scenes from his five channel video installation “Little Dances of Misfortunes” (2001) — created after 9/11 — which depicts amateur dancers illuminated by phosphorescent body paint. “Little Dances of Misfortunes” is currently on view (through June 14, 2009) at the The Frances Young Tang Teaching Museum and Art Gallery at Skidmore College as part of Oliver Herrings 15-year career survey “Me Us Them”. VIDEO | Producer: Wesley Miller & Nick Ravich. Interview: Susan Sollins. Camera: Joel Shapiro. Sound: Roger Phenix. Editor: Jenny Chiurco. Artwork Courtesy: Oliver Herring. ART21: Talk about what it’s like, bringing strangers into your work. HERRING: The hardest thing is to work on a level of trust, especially with strangers. There is a level of expectation that can be very hard to meet. The premise is to make a video, but that can mean a lot of different things. Perhaps it sounds much more glamorous to some people than it is—especially the videos that I make, which are stop-motion. I repeat a lot of movement—and whatever we end up doing—because I don’t know where it is going. I try to take my cues from the personalities of these people. So, if I have two people whom I know in the studio, I can circumvent that whole issue and go straight to having fun. Ultimately, that’s where you want to go—to that place where you enjoy it, where you’re not self-conscious, where personalities come through. At some point, you reach a point of saturation where you’re so tired and exhausted that the last little bit of guardedness falls away and something really pure comes out. That’s what gives these videos humanity. And that’s what I’m shooting for. All the action—all the motion—is really just a decoy to get to that. In the end, these things are collaborations. I don’t think of the people I work with as models or actors. They are people who are willing to sacrifice their time for me. Of course, there is something in it for them, too: the experience is intimate and unusual. But it’s the same for me. Although I know more what to expect, since I usually work with strangers, there is still a whole new world that enters my studio with whoever comes in. It’s very adventurous. ART21: Are there times when it’s difficult to work with other people? HERRING: It’s like walking a tightrope. On one hand, I feel I have to be really selfish. If I sense some potential somewhere, I feel I have to go with it. I owe it to everybody’s time spent together. Ultimately what I want is a good video, a good piece of art. But at the same time, I’m trying very hard to keep everybody entertained, and that’s hard sometimes. I had a shot where I had almost forty people in the studio, and it just didn’t work. So, I ended up working with six or seven people, which made it really hard. There was a lot of footage that I shot that never made it into the final piece that I just did because I felt I had the obligation to do something. It’s a balancing act, and since I’m not very scientific about anything, I just have to go with my feelings. If I see somebody really fidgety, I try to engage that person somehow. ART21: How should people think of your videos in relationship to your other work? HERRING: I look at my videos as a continuation of my work in general. My work has always been very stripped down. It’s always about generating something with a very simple and accessible material, or with what’s around me. And perhaps the more “operatic” video pieces were a reaction to my knit sculpture, which kept me isolated for so long in the studio that the videos were a way for me to be social and flamboyant and to change my mind all the time. Because when I did the knit pieces, once I committed myself to a piece, I was locked into an idea, and the only thing that could really move was my mind. The early video pieces were a way for me to express what was going on in my mind. One of my first videos, Exit, literally starts out with me sitting in the chair that I usually knit in, and then it turns into this flight of fancy—certain fantasies that I dreamt about while I was knitting. ART21: What is your process for making a work? HERRING: I tend to start out with a lot of artifact because I find comfort in that. Then I slowly move away from it. Once I reach a certain comfort level, I end up with nothing because it’s the hardest thing to gain something from. If you have nothing around you, and you can make something out of it, that’s hard but also very satisfying—because it’s ultimately very uplifting. But you have to work for that. So, I usually start with something and then strip it away to nothing, just trying to generate something out of the air. I try to rid myself of excess. It’s the same with everything that I do. I just like when things are really boiled down to an essence—because to me there is so much more truth in it. ART21: Are there ever conflicts in these collaborations? HERRING: I think sometimes people might be frustrated when they’re not used in the way they imagine themselves. When I allow people to do in front of the camera whatever they want to do, it becomes so complex, eccentric, and playful. I feel when I impose my ideas, it actually becomes much less so. People seem to have a pretty clear idea of themselves, of how they want to be portrayed in front of a camera, which is a very interesting relationship between people and cameras. It might also be a generational thing. Younger people who grew up with TV, video cameras, and reality television have a very clear idea of how they want to be shown in front of a camera, whereas slightly older people might not. So, that’s where the frustration level might come in. If somebody is not portrayed in the light that they expect, then it might be frustrating. On the other hand, the videos that I end up editing and showing tend to be good enough. I think everybody seems to be very happy, because they always come back—that’s the other thing. The video that they’re shooting here today is actually an example of two people who have been in quite a few of my videos now. ART21: Describe some of the materials you use. HERRING: At this point, nothing—nothing at all. I used to use ten, fifteen pieces of cardboard that I would recycle. It almost became a challenge to find new usages in those ten sheets of cardboard, to see how much I could get out of them. But at this point, I’m really just trying to rely on people’s personalities and also my (hopefully) sharpened instinct to deal with people. I think that’s the other thing that I’m trying to cultivate: how to deal with people successfully. ART21: How do you see your role in creating the videos? HERRING: I still think of myself very much as a sculptor or a painter. The idea of a director seems too hierarchical. I can’t relax into that at all. And maybe that’s also why these things become very collaborative. While I call the shots, I do it under disguise. I don’t really know what my role is, and perhaps that’s a good thing because it keeps me fluid and changing—behind the camera or in front. It leaves doors open. I don’t like roles, actually. ART21: Talk about how you arrived at stop motion as a way to structure your videos. HERRING: In formal terms, it was logical because my knit work was incremental and built from little moments that in a linear way added up to a larger picture. Film is very similar. Stop motion communicates that even more clearly because you have one moment that is still and then another moment. So, it’s almost like one still life that’s bunched together with another still life, and so on. In between, I can rearrange and manipulate. Since I work on a shoestring budget, I deliberately try to keep things as simple and manageable as possible. I’m not interested in technology and all that—I mean, I am, but not for my work. I try to make things with my hands and to impose that kind of feeling and tactility onto my videos. Stop motion gives me that luxury because I can build a still life of sorts and then change it. I made a little document by photographing it and by filming it, and then in the film, it sort of adds up to a larger picture. Among Oliver Herring’s earliest works were his woven sculptures and performance pieces in which he knitted Mylar, a transparent and reflective material, into human figures, clothing and furniture. Since 1998, Herring has created stop-motion videos, photo-collaged sculptures, and impromtu participatory performances with ‘off-the-street’ strangers, embracing chance and chance-encounters in his work. Oliver Herring is featured in the Season 3 episode “Play” of the Art21 series “Art in the Twenty-First Century”. Episode #070: Artist Joyce Pensato discusses her experiences appearing as a performer in Oliver Herring’s videos. The work, which also features participant Davis-Thompson Moss, is the first in a series of Oliver Herring videos that feature the pair of performers. Among Oliver Herrings earliest works were his woven sculptures and performance pieces in which he knitted Mylar, a transparent and reflective material, into human figures, clothing and furniture. Since 1998, Herring has created stop-motion videos, photo-collaged sculptures, and impromptu participatory performances with off-the-street strangers, embracing chance and chance-encounters in his work. Episode #071: Artist Davis Thompson-Moss discusses his experiences appearing as a performer, alongside his brother, in two videos by Oliver Herring: “BASIC” (2003) and “THE DAY I PERSUADED TWO BROTHERS TO TURN THEIR BACKYARD INTO A MUD POOL” (2004). VIDEO | Producer: Wesley Miller and Nick Ravich. Interview: Eve Moros Ortega. Camera & Sound: Joel Shapiro and Roger Phenix. Editor: Jenny Chiurco. Artwork Courtesy: Oliver Herring. Special Thanks: Davis Thompson-Moss. UMSL: Artist Oliver Herring brought his “TASK” exhibit to Gallery 210 on the North Campus of the University of Missouri−St. Louis.